For Immediate Release: Posted On 4/26/2016 By Industrial Magnetics, Inc.
Industrial Magnetics, Inc. of Boyne City, MI, recently announced completion of a 16,000 sq. ft. addition to their manufacturing center, bringing the facility up to 34,000 square feet. The company designs, engineers and manufactures both permanent magnets and electromagnets for work holding, lifting, fixturing, conveying and magnetic separation in a wide variety of industries. The new space houses a variety of work cells designed for efficient changeover to meet the wide array of products the company produces. 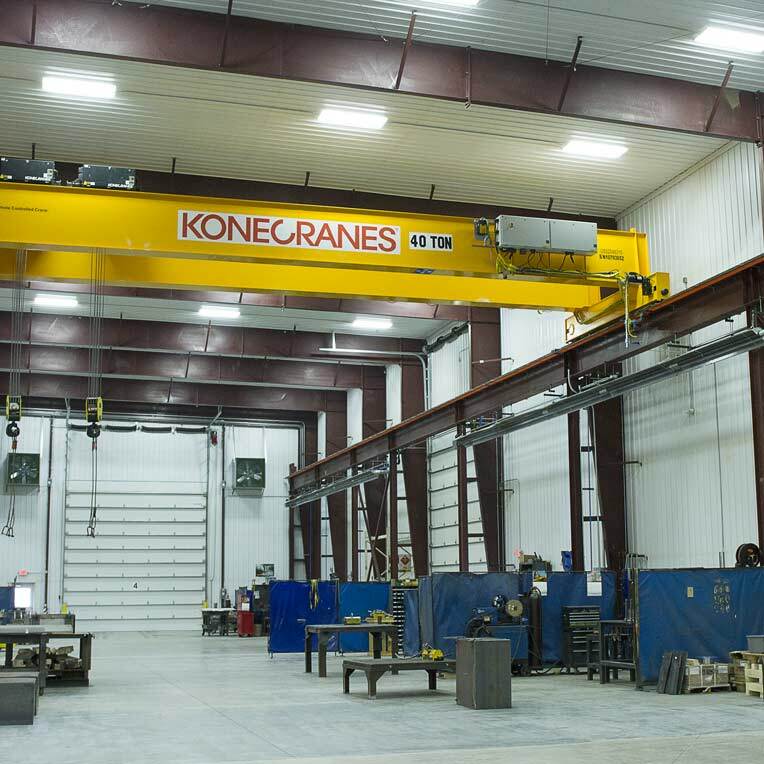 In addition, a 40 ton capacity crane was added for large scale projects, as well as an integrated loading bay. For more information on Industrial Magnetics’ products and the markets they serve, browse the company’s website at http://www.magnetics.com.